On The Spot – Epica’s Lead Vocalist Simone Simons Interview – Spotlight Report "The Best Entertainment Website in Oz"
Thanks to Riot Entertainment we had the chance to speak with the lead singer from the Dutch gothic metal band Epica, the incredible Simone Simons about her visit this week to Australia with the band this week. Spotlight Report: Hi, Simone very cool to talk to you. Simone Simons: Hello there, very nice to talk to you too! Spotlight Report: We would like to start this interview speaking a bit of your early days as a singer and what got you into music. Simone Simons: I started listening to a lot of music and getting into that when I was young, watching MTV and those kind of TV shows, then I play the flute for a couple of years, then I was singing at the musicals at my primary school when I was 12 and that was in like our good bye party. Then I went to High School and the music teacher told me I had a good voice. So I got lessons, but that part was more like POP singing lessons, but I felt that was not really for me, so I switch to classical singing when I was 15, and there I was open to any kind of music style, not only rock, so I started to listen to some more alternative styles, so I got into metal and I was blind by that music, for the first time I was blind! 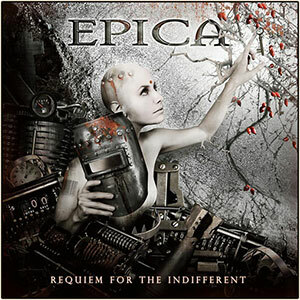 So I started to listening to all kind of metal you know, like extreme metal, death metal until I listened to Symphonic Metal and Nightwish and I loved it, and then I meet Mark (Jansen) and they signed me up, and that’s how I started with Epica and I haven`t been in another band but Epica. Spotlight Report: Well, clearly that’s one of the reasons you have such a die-hard fan base. And speaking about that…Did you ever imagine becoming so popular and traveling the world with a band? 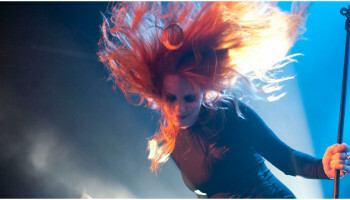 Simone Simons: No at all! I would never imagine this … it is a dream, because I love singing and Epica has been enough to make that dream happening and going on tour around the world, thanks to the hard work from the whole band and to our amazing fan base, because it’s thanks to them Epica is still around as one of the biggest band in the Symphonic Metal category. Spotlight Report: Fantastic! Now moving to another topic, let’s talk about the latest album Requiem for the Indifferent. What can you tell us about the process of the album? Did you guys try to move in another direction or try new things to make it different from previous releases? Simone Simons: Well it definitely has different elements than our previous album Design Your Universe. For example, I think is a bit more dirty and darker touches and a lot of extremity, so compared with Design Your Universe it is not as very, how I can say…bombastic, but still very symphonic, but a bit more complicated, a little more darker, a little more heavier. 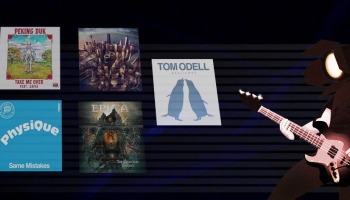 Spotlight Report: Following up on that, what’s your favourite song of the new album and why? Simone Simons: I really really like to sing to Storm the Sorrow, because it’s really great to play live and the song is at the top of the CD, we did a video for it, we have a bit of keyboard playing. For me it’s a great catchy song with a beautiful melody, and when you open with it live, it has such energy and the audiences really love the song. Spotlight Report: And speaking about your fans. How did they react to the new album? How was the feedback? Simone Simons: Well you know, every time you release a CD, there will be people who will still be more attached to the old stuff, but there are others that really love the new stuff more than the old one. However, everyone in general seems to like the album and truly accepted it, so we haven`t received any kind of complaint and also we have been selling a lot of records which is a good sign, because the record is popular and is on demand. 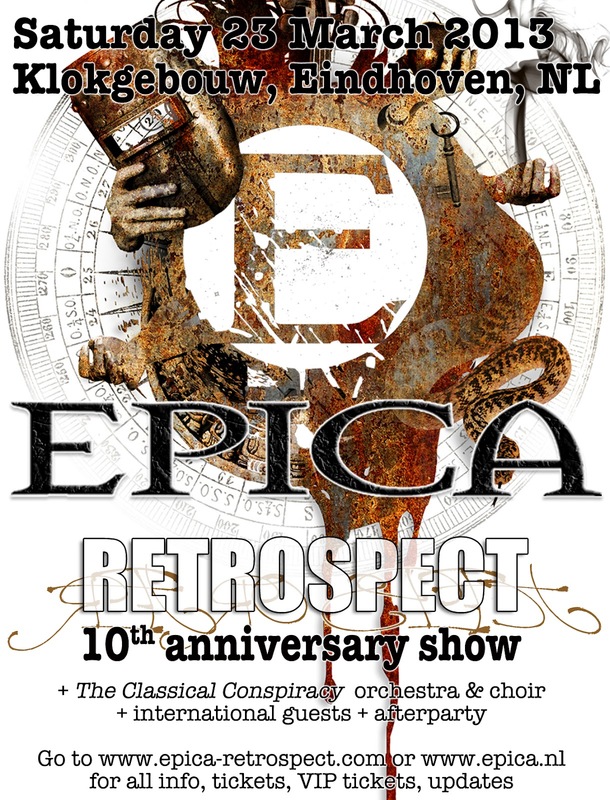 Spotlight Report: Obviously we are very excited about your Australian tour with Epica, and as fans we wonder if you guys will have any special treat or surprise for the Aussie fans during the shows. Simone Simons: Well, first of all we will be playing one and a half hours minimum and we could go up to two hours, which will be a mixture of all the Epica songs and we hope to bring a very spectacular set of light for the show and more than that we will bring a very good energy vibe! What are you planning to do while in Australia in your personal time? Simone Simons: Well, first of all we are very excited about coming to Australia and playing the shows in Sydney, Brisbane, Perth and Melbourne…we are very happy to have 4 shows there! I really love the sea, but I really not in the sea ha ha … so I`m probably gonna walk a lot around town, take photos, eat local food … but I don`t wanna eat Kangaroo or crocodiles ha ha ha … but I still you know, wanna experience a different culture. Spotlight Report: Nadia from Melbourne wants to know how is your relation with your fans, do you get in touch with them as much as possible? Simone Simons: Well, getting in touch with me is as easy as to jump on the internet, as I have my own facebook page, my twitter and I also have a blog were I talk a lot about everything, like travelling and some behind the scenes with Epica, so I`m very accessible I could say. Also Epica, always organizes meet and greets with fans, so they can be with the band before the shows and get autographs, pictures, talk to us, etc. We know it’s impossible to meet everyone, but we try our best to get close to as much fans as possible, and we will keep doing that in Australia of course. Spotlight Report: Robin from Sydney wants to know, what is the most “Epic” show you`ve ever played with Epica? Simone Simons: That’s good to be asked, because was our anniversary show, with four and a half thousand people which was quite a record, we had an Orchestra and also we had the old members of Epica on stage plus a Choir to sing with me and even fireworks. Personally loved to play with a choir and Orchestra, because they power up our music, so that was definitely the highlight performance of our career. Spotlight Report: Just to start finishing this interview, we have classic questions we always ask our guests. The first one is if you can share with us any funny story while on the road or if you had received any crazy request from a fan? We also have some very crazy fans all over the world, that follow us everywhere, to our hotel, airports, they book rooms near us, they approach us while we are having breakfast, and we never get really used to that, because we don`t really consider us huge famous people. So fans can get a bit weird when some fans talk to you and they know everything about you, even some very personal things and I have no idea where they get that kind of information, as I`m just a normal person you know. Also, many fans asked us to sign their body, because they wanna get a tattoo of that, and then is weird to see them coming back to show us their tattoos done, and even some with my face on their bodies, so that is kind of weird, but at the same time I feel honored as it shows a huge dedication from them to us. Still, I would not get a tattoo of my boyfriend’s face on my body, no matter how much I love him ha ha ha. Spotlight Report: Our last question, would you mind to give us any advice for young aspiring Australian musicians who wanna enter the music industry and follow your steps? Simone Simons: Yes, sure … and the answer nowadays is out there, as you have very good tools to promote yourself that we didn`t have before, now you have Facebook, twitter, Youtube, so my suggestion is to do a recording as much professional as possible of some songs, and start to promote all on the internet, because that’s the way is done today. Spotlight Report: Ok Simone, thanks a lot for your time and for the fantastic answers. 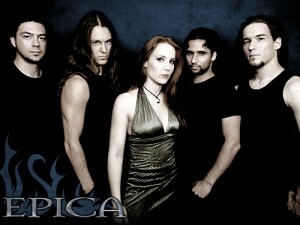 We look forward to see you with Epica here in Australia in a few days. We wish you all the best! Simone Simons: Thanks to you, and I really hope I can meet you to know your opinion about the shows. Bye Bye and thanks again.